Pearl Jam’s Aug. 8 and 10 concerts at Safeco Field — the band’s first Seattle dates in five years — are the centerpiece of a week’s worth of events and promotions aimed at raising money to combat homelessness in King County. Like any grizzled Seattleite, Mike McCready is sick of the traffic. He’s tired of watching the places that give his hometown its soul being razed, oftentimes replaced by high-rent apartments. And more importantly, the Pearl Jam guitarist is saddened by the “incomprehensible” homelessness he sees every day in the city he was raised in and never plans to leave. McCready also knows it’s been a while since his band — arguably the biggest active rock band from a city that once grew them out of discarded Rainier cans — has played its hometown. 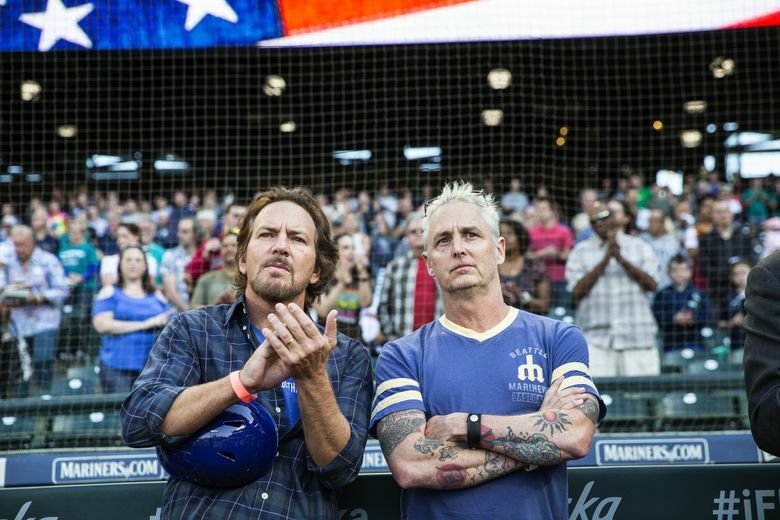 So when the grunge kings started making plans to return to Boston’s Fenway Park and Wrigley Field in Chicago this year, McCready wanted to make sure Seattle didn’t get snubbed (hey, we got a ballpark, too). Once the Safeco Field dates were in place, the famously charitable band started talking about donating some of the proceeds, as they often do, to a local cause: homelessness. As internal discussions began, a suggested $1 million pledge from the band quickly escalated to an ambitious $10 million fundraising campaign spanning more than 70 partner organizations and countless individual donors, centered on the two most anticipated concerts of the year, expected to draw around 90,000 people. Those two concerts — on Aug. 8 and 10 at Safeco Field — mark Pearl Jam’s first Seattle dates in five years. Dubbed the Home Shows, the stadium gigs are the centerpiece of a week’s worth of events and promotions aimed at raising money to combat homelessness in King County. Among the highlights: More than 80 restaurants will donate at least 10 percent of their Aug. 8 sales to the Home Shows fund and 107.7 The End is kicking in $2 per ticket sold to its annual Summer Camp concerts (Aug. 11-12). 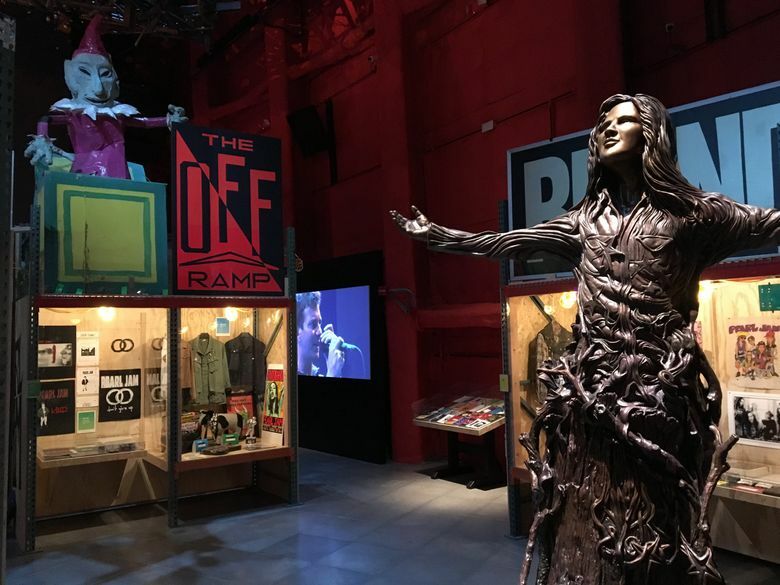 Also coinciding with the shows, MoPOP opens a new exhibition of Pearl Jam memorabilia Aug. 11. Roughly two weeks before the shows, John Hoyt, of Pyramid Communications, who’s helping the band manage the Home Shows initiative, said they had already raised around $11.5 million, a number likely to grow down the stretch. Currently, the bulk of the money has already been designated to specific charities by the donors. But the band has assembled an informal advisory group of nonprofit leaders — including Putnam, who now leads Accelerator YMCA — to make recommendations on how the remaining funds should be spent and provide guidance throughout the campaign. So far that long-term solution has been elusive. The Home Shows come on the heels of the acrimonious head-tax debate, which saw the passing and swift repeal of a tax on Seattle’s largest employers that would have raised about $47 million a year for homeless services amid backlash from the business community and general public. Meanwhile, the One Table panel of public and private stakeholders tasked with proposing ways to address the root causes of homelessness had stalled as the head-tax debate swirled; it is starting to meet again this month. With a new mayor in office and what Chief Seattle Club executive director Colleen Echohawk describes as a rise in NIMBYism, the timing couldn’t be better for the beloved Seattle band to throw its weight behind an issue that has reached a “tipping point,” Echohawk said. Putnam, too, sees it as a pivotal moment for an issue that’s generated a lot of “negativity” lately. The nonprofit leader is hopeful that energy around the Home Shows will shift the tone of a conversation that’s grown “pretty antagonistic, culminating with the head tax.” While the campaign has attracted a number of corporate partners — including Starbucks, Vulcan and Alaska Airlines, which all opposed the head tax — it’s also rallied the small-business community. Trey Busch was on board as soon as he learned of the initiative through friend and Ten Club — Pearl Jam’s fan club — wrangler Tim Bierman. Busch and Mark McNeilly, Pearl Jam superfans and partners in The Underground Wine Project, donated all proceeds from a Home Shows-branded box set of their Idle Hands wine to the band’s Vitalogy Foundation. The 450 box sets sold out in 12 minutes, raising nearly $70,000. David Finkelstein doesn’t miss a New York Pearl Jam show. But fandom wasn’t his motivation for contributing $250,000 to the Home Shows campaign. Raised in Seattle by a single mother dealing with mental illness, the Roosevelt High School alum watched her condition worsen as graduation approached. Unable to work, she connected with Community Psychiatric Clinic (CPC), which gave her an apartment and daily rehabilitative programs, enabling Finkelstein — now an executive at a New York investment firm — to focus on school and starting a career. When he called CPC to inform them he was designating $150,000 to the clinic, he was told the money would help people currently waiting for housing. “It’s encouraging to know that something like this, you actually do have a tangible impact,” Finkelstein says. Some of the other nonprofits that stand to benefit from the Home Shows are already thinking about how to use the funds. 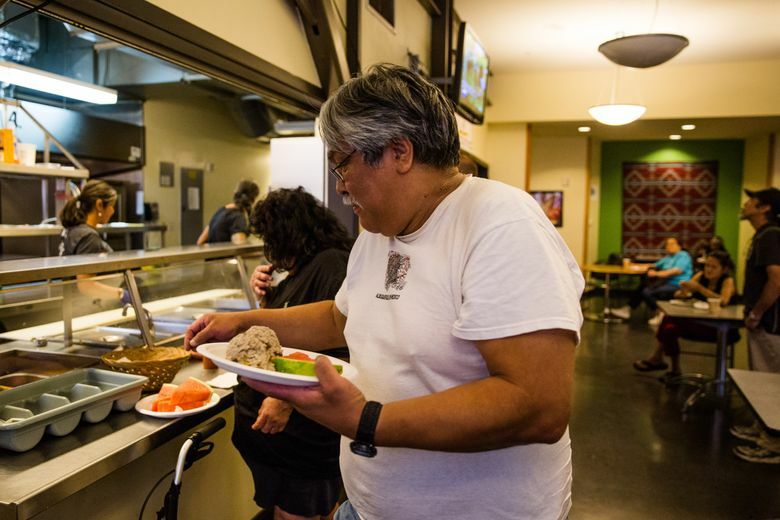 At Chief Seattle Club, which provides meals and various services to Native people experiencing homelessness, Echohawk says its share will go toward a planned $30 million affordable-housing project near its Pioneer Square facility. Putnam hopes to expand Accelerator YMCA’s Host Homes program, which matches young adults aging out of foster care with temporary host families while getting on their feet. The real question, Putnam says, will be whether or not the Home Shows’ momentum can continue after the last encore. For his part, McCready hopes they can keep some of the corporate players and foundations engaged over the next few years. And if nothing else, count the hometown hero as a believer in the Seattle spirit.